17.05 Acres with City water & sanitary sewer line ON the property. Very close to Heritage Exhibition Park, Cheam Golf Course and beside a horse track. A LARGE barn with horse stalls & detached 4 car garage/workshop (with separate furnace). The land is year to year leased to a farmer for EXTRA INCOME. 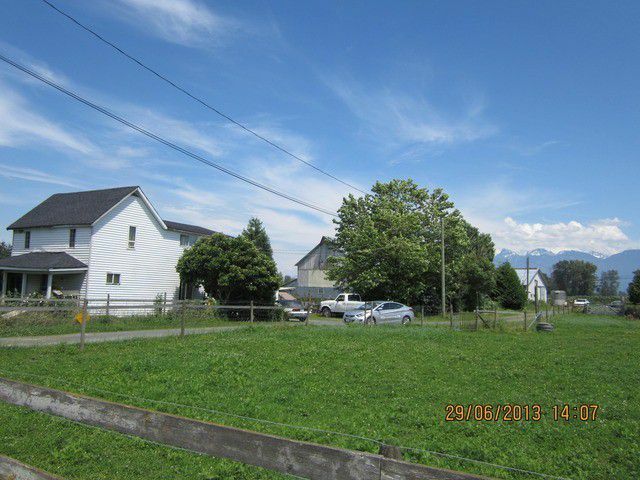 Very conveniently located to build your DREAM HOUSE or hold this potential plus property.... Minutes away from Hwy#1. Please call for more information.